The incredible and growing amount of information available nowadays presents us with specific challenges we need to overcome. Meanwhile, the rediscovery of propaganda and the power of rumours spread on social networks, now labelled “fake news”, only make more acute the need to find our way through the mass of information available. This is even more important if, as students, professionals or citizens, our aim is to be able to understand, foresee, warn about, and finally adequately answer accumulating dangers, threats, risks or more broadly changes and uncertainties. Our information age is characterised by what Martin Hilbert called the “global information explosion” (“Digital Technology & Social Change” University of California Course, 2015), when we constantly face “information overload” (among many others, Bertram Gross, The Managing of Organizations, 1964; Alvin Toffler, Future Shock, 1970; also Stanley Milgram, “The experience of living in cities“, Science, 167, 1461-1468, 1970). Google estimated in 2010 that 129,864,880 books had then been published (Leonid Taycher, “Books of the world, stand up and be counted! All 129,864,880 of you.” 5 Aug 2010). 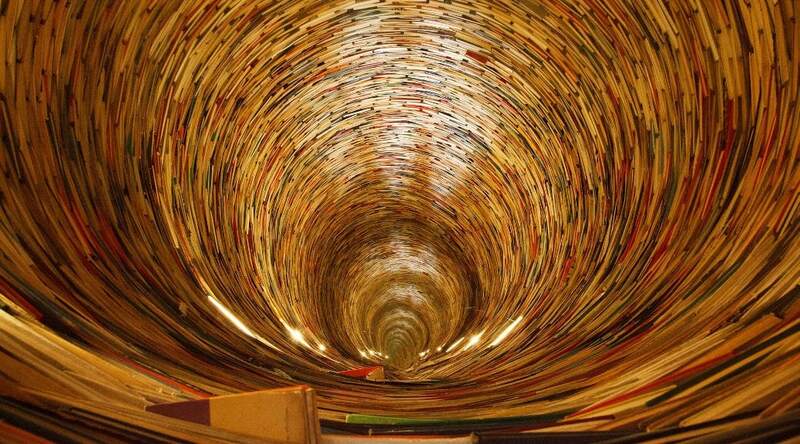 Wikipedia estimates that “approximately 2,200,000” books were published each year across the world. Meanwhile, it is almost frightening to look live at the constantly growing number of internet website: 1,080,387,230+ on 15 Sept 2016; 1,675,967,895 on 28 March 2019; i.e. an augmentation of more than 595 million website, or 55% in a bit more than two years and six months (internet live stats). Those are general figures, but they are also representative of what we must face when we work on a specific topic, because we have to deal with all the relevant knowledge and understanding accumulated. To this we must, most of the time, add current unfolding events and facts. For example, if one wants to start working on an issue related to Libya, a simple google search on the word Libya returns 224,000,000 results in September 2016 and 299,000,000 in March 2019. A larger theme, such as energy, returned 1,340,000,000 results in September 2016 and 2,900,000,000 in March 2019. Let us take another example with already filtered information, such as the bibliography of a PhD thesis. Even though information has been sorted out, we could get a 14 pages list of scholarly books and articles (approximately 336 texts) or more, and 49 pages of references to archival material. In that case, archival references may correspond to 4 to 5 large storage boxes of documents and 12 CD-Rom of digitalized text documents (example taken from my PhD). Another example of pre-sorted information is a “simple” reading list for one topic for a Master or PhD course. Such reading lists used to cover at least ten pages (e.g. Princeton, International Relations 2007, approx. 200 books and articles). In all cases, this is a lot to read, most often in an always too short amount of time. And we are only focusing here on written media, when time must now also be made for other media such as videos, audio media, and social network exchanges. How can we thus face this challenge? In the meantime, how can we make sure we do not fall prey to “fake news”? To the “fake news” problem, I would also add how can we avoid losing time reading low quality pieces? The use of other media, besides written texts, complicates the problem and present also technical challenges. They are outside the scope of this article. At the heart of these two issues we have a major question. How can we read efficiently and usefully for our purpose, and more generally for analysis and understanding of political, geopolitical, and international relations’ issues*? The remaining part of the article will provide practical advice to learn to read efficiently and usefully, while avoiding as much as possible, to fall prey to “fake news”. 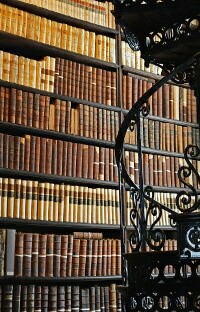 In our field – and in many related others – the first and absolutely crucial idea to keep in mind is that, initially, what we seek to achieve is NOT to accumulate a large quantity of knowledge, but to develop a proper understanding of a topic, question or issue, however loosely defined it may be before you start reading anything. Knowledge is, of course, fundamental, but it is a means to an end. Knowledge will thus be a building block for the construction of your understanding. Keeping this idea in mind will help you overcoming – at least partly – anxiety about what you do not know. What must matter to you is to know enough to develop a good understanding of the topic you are studying, as well as, in the case of anticipation, to allow you thinking out of the box. We are not trying to hoard knowledge, nor do we aim at showing off how knowledgable we are. We read to understand at best something (and hopefully, also, meanwhile, we enjoy it). Even if you were working in tactical intelligence to prevent terrorist attacks, for example, where at one stage you would need to know, ideally, everything to make sure not to miss an attack that is being prepared, before to reach this step – which fundamentally belongs to the monitoring and surveillance phases (see Helene Lavoix, “Horizon Scanning and Monitoring For Anticipation: Definition and Practice“, RTAS, 4 March 2019) – you would first need to develop an understanding of the terrorists’ strategies, their beliefs, their motivations, previous modes of operations, etc. It is this initial fundamental phase related to understanding that is our primary concern here. Moreover, even during the monitoring and surveillance phase, you would also need to focus your reading on these useful pieces of information relevant to your task, i.e. preventing a terrorist attack. Thus, even in that case, quality understanding of information primes over blind quantity accumulation. Meanwhile, reading still matters. This may come as a surprise to you, but, to read usefully and efficiently, we only relatively rarely read documents, be it books, reports, articles, memos or even short briefs, from A to Z. Most of the time, the pleasure of reading all the words of a written document is only reserved for leisure and novels, poetry, etc. In a work environment, reading every word is impossible – and potentially not very useful either. This may not be very nice for the author, who has spent months and sometimes years researching and writing, but this is the way it is, and the only way forward considering the breadth of accumulated knowledge. And, do not worry, most authors also do the same; they skim through texts for their own purpose. However, purposeful reading is only possible because we can rely on a normative typical structure for scholarly written work, which reflects millennia of scholarly work and grounds the quality of written documents. It is this classical structure or more exactly what we assume is implied by that classical structure and contained within it that allows speeding reading. What I mean here by “speeding reading” is that we take in the gist of a book or article, or we focus on very specific points contained in the text, which may be of particular interest to the specific issue or problem we try to understand. Should this structure not be respected, or not entail what we assume is behind it, purposeful reading and speeding reading would become much more difficult, or slower, if not impossible. As a result, we shall read texts with different origins and structures in a different way, as we shall see very practically below. What is this typical classical scholarly structure? an opening on further research, new ideas that follow from the findings, etc. a bibliography, which is a list of all the documents used in the text. Furthermore, all the text is accompanied by footnotes, which are nothing else than references to the various types of evidence used and ideas developed previously by scientists and authors (e.g. standardisation according to APA Style). It is vital to understand that footnotes or similar references are a crucial building block of our world. They underlay the whole system of copyrights for example, scientific progress, as well as the difference between facts and objective analysis (presence of footnotes or similar types of references) on the one hand, hearsay, propaganda and opinion (absence of footnotes or similar type of references), on the other. This is thanks to footnotes and references that you will get a key weapon to fight against fake news. Now you know this structure, you most probably already envision how it can help purposefully with speeding your reading and your understanding. Read the abstract. If this is interesting and relevant for your purpose, continue, if not discard, and move to the next document. Read the introduction. Abandon if you find out it is not relevant to your current purpose. According to your own purpose, read chapters, pages or even paragraphs that are relevant but only those. These can – and must – be read in detail. It may here be useful – or helpful – to take notes, and jot down the thoughts that reading generate in you, if this can enhance your understanding. This is even truer for the texts that are the most difficult to understand, because we are not used anymore to such complexity of thinking. I am thinking here about, for example, some past philosophers, whose works remain crucial. For very specific research – for example references to a specific fighting group in Syria, or Libya or elsewhere, or to a faction, or to an event, etc. – use the index of the book if available. Thanks to electronic format, do not hesitate to use the search engine. You have a search function for PDF, word-processor documents and also in browsers. Enter your keyword, and the places in your text where your keyword is mentioned will be emphasised. You thus know which paragraphs you need to read. This may sometimes lead you to read a bit more to be able to understand what the author meant – always be careful never to misinterpret what is written – but you will have spared the time to skim through the book or article, which you would have needed to do without a search function. That’s it, you have extracted from the article, or book (or report, monograph etc.) all you need to know for your specific current work. Don’t worry, you will remember actually much more than what you think, and, if ever, for another purpose you were to need this book or article again, your memory will send you a warning message suggesting you go back to this book. This somehow unconscious memory is one of the reasons why reading is – so far – superior to entrusting this function to an artificial intelligence. If you are not the one reading, then this “unconscious memory” cannot function. You may think you spare time, but, on the long run, you lose time by depriving you of fundamental information. Finally, be flexible with the principles explained above. Always use your good sense, remain practical, and also follow your instinct. Sometimes, it is crucial to read a bit more or more in-depth, as this is in this unexpected area that a solution to one nagging problem will be found. As explained, earlier, it is important to emphasise again that it is because we are certain that, if needed, we can go to the body of the book or article, where the research and the arguments are explained that we can fully trustfully skip them. We know that if needed we can go there and find the details necessary, as well as the right evidence. It is, also, of course, because we trust science and the related architecture of understanding that we can skip the research and arguments. Indeed, we assume that the research and the demonstrations are correct. As a result, if the standard of research and of scientific reasoning and thinking were to be lowered, then we would not be able to skip the argument, even if, formally nothing has changed. If ever the scientific thinking and architecture of understanding were shaken, then confusion would ensue. As a result, the spread of fake news would be favoured, while reading would immediately be slowed, as everything would have to be checked. Unfortunately, the ego of untrained individual, who think they know best and spread absurdity is a perfect way to start destroying scientific thinking outside scientific circles. Unfortunately, this is increasingly widespread nowadays. A whole article would deserve to be written on this very topic. Let us, despite these worrying trends, consider we remain in the case where the scientific understanding and structure are standing. Once you have read your first text as explained above, you can now move to the next document. The state of the art or literature review in an introduction, when it is well done, is an incredible tool to read efficiently, usefully and quickly. Thus, use it as such. Whatever the topic, issue or problem upon which you are working and that you are trying to understand, try first to find a (good) book addressing the same issue. Then, read with attention the literature review. The latter will give you all the authors, books and articles dealing with your topic and that must be read. Even more interesting, it will provide a first summary of these other documents’ content, and explain where they are wanting. This first summary will allow you to decide if you must add this or that text to what you need to read to understand. At worst, you will still be able to incorporate in your understanding the summary or specific points the literature review will have underlined. As a trick, the best documents to find proper literature reviews are PhDs and classically written good scientific/academic books. Master theses may also be of great interest because many of them are actually a literature review. Any serious article, post, book, report, monograph, etc. uses footnotes and/or bibliographies, as underlined previously. In the case of web-publication, what you must look for are proper references, most of the time with hyperlinks. Those will be gold mines for you as they will, in a way similar to the literature review, point you in the direction of the next works you must read. 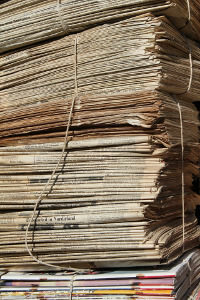 Mainly use newspaper articles for facts and evidence, making sure they are properly sourced. Newspaper articles are also useful to help you identifying which primary material, such as a speech by an official or member of government (see below), you MUST read. In this latter case, you cannot be satisfied, most of the time, only by what the journalist chose to report. Indeed, most newspapers have a specific editorial line and are partisan. Hence, you must read the original text and if the newspaper refers to a news conference, then, if possible, find transcripts of these. Most of the time, the title of the article is enough to let you know if you need to skim through the news article, read it in detail, or just move to another one. In some instances – unfortunately increasingly rarer – when a newspaper article includes in-depth interview(s), then read the whole article. Currently many newspaper articles relay only opinions – which is different from analyses – and, save in cases when they are contextualised and characterised properly, opinions are of no interest to us. Of course, if our purpose is to work with beliefs and ways to understand the world, then opinions become very important, because they are our primary material (analyses also may in that case be handled in a similar way). Nonetheless, opinions are not analyses and must be handled as opinions, not as analyses. Primary sources: speeches, reports, official documents, interviews, etc. 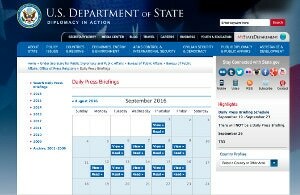 Screenshot of the timetable for available Daily Press Briefings of the U.S. Department of State on the web. Skim through it, to make sure it is relevant to your focus: for example, if you are working on energy, then a statement by the President of the U.S. or of Russia on, say, education policies for children below six years old, is most probably irrelevant. When you skim through documents though, be careful not to miss second and third order related topics. For those materials that are relevant – or for the part of the document that is relevant – read each and every single work of it, as nuances and specific words used matter. In general, primary information must always be evaluated for its reliability. 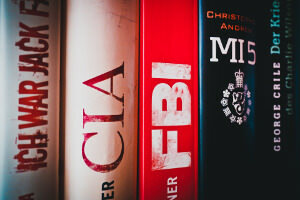 The best way is to use what was created by the intelligence services. An information is evaluated according to the source (who gave the information in the first place) and to the piece of information itself (e.g. Department of the U.S., Army, Headquarters, “Appendix B, Source and Information Reliability Matrix”, Field Manual No. 2-22.3 (34-52), 2006 – download Appendix-B). If we take the example of tweets, for example, which are sometimes our only source of information on some unfolding events – this was, for instance, very often the case for Libya – then you should contrast people who only state things, from those who make the effort to give evidence that will back their statements by any means, including photos, and videos. Once you have evaluated that a person on twitter is serious, then, even though s/he may sometimes post statements without evidences, you can attribute a higher quality to the information because of the reliability of the source you estimated. However, especially with the spread of artificial intelligence means, remain extra careful. Knowing how to evaluate the reliability of information is absolutely crucial to fight against fake news. Practicing systematically the evaluation of the reliability is, of course, even more important. If this may appear as cumbersome initially, you will get used to do it and thus benefit from the learning curve. Actually considering the lowering overall standard of publication, and the rising confusion (read among others the excellent article Max Read, “How Much of the Internet Is Fake? Turns Out, a Lot of It, Actually.” Intelligencer, 26 Dec 2018), it is a very good idea to apply your evaluation to all information, including to what should be good analysis, not only to primary sources anymore. This is very unfortunate and painful to write, but … better be safe than sorry. The classical structure of a scientific and academic text and its significance, as well as the importance to evaluate the reliability of information, allows you to sort through the mass of documents you should read to understand an issue. It also allows you to discard those that are of sub-optimal quality. If a text does not contain references, i.e. no footnotes in the case of a paper document, eventually no proper sources in case the author is not acquainted with the footnote system, and/or no properly referenced hyperlinks in the case of a text published on the world-wide-web, then it becomes a collection of opinions, and hearsay. At worst, these types of texts are one of the places where you will find the crudest fake news. Such a text has no value and you can just discard it, i.e. not read it. Of course, this does not concern reasoning and demonstrations, which belong fully to the author and which are of value. However, it is very rare in matters of national and international security that a whole text will be about reasoning and demonstrations, which belong only to the author. Most of the time, references and facts are needed, which must thus be properly referenced, or the author will refer to others’ reasoning and demonstrations, which similarly must be referenced. Even if it is unfortunately a growing trend on the web not to use references and sourcing – even from well-known think tanks, do not lose your time reading these articles. Because we do not know who said what, and where the author found this or that idea or fact, we just cannot consider the text as more than mere hearsay and opinion (to say nothing of plagiarism). 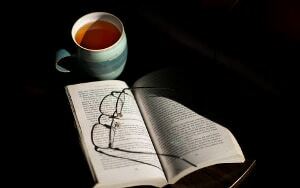 Nothing can be checked, the assumed quality and reliability we mentioned earlier are not there, thus it is better using your precious time to read something else. When only facts are concerned, similarly, if a text does not use sources, then it means that you cannot check the origin of the idea or fact. This means that the reliability of the information delivered is possibly dubious, and in any case that we shall never know. Thus again, do not lose your time with this text, even though it comes from a prestigious publisher (think tank, risk management company, famous person, high level official, etc.). The only way to consider such texts would then be as primary material, but you must then apply to it the rules explained above about the quality of information. If you apply all these ways to read, and if you use your good sense and your logic – including sometimes to go against the principles explained here, as there are always exceptions – then you will not only have greatly reduced the amount to read, but also improved the way you read. Meanwhile you will have contributed to fight against fake news and sub-optimal content. Furthermore, by accepting it is impossible to read every word ever written on a topic, by abandoning any dream of omniscience, you will not only lower your anxiety, which will enhance all your cognitive processes, but also develop a kind of “confident humility”, which then will be an incredible asset in mitigating biases and thus in improving the quality of your analyses (see Geopolitical Risk and Crisis Anticipation online course 1, module 3). You are now ready to read efficiently and usefully any document. Reducing further the number of documents to read, which we have started to see here briefly, is also absolutely crucial, but belongs to analytical methodology (e.g. see Geopolitical Risk and Crisis Anticipation online course 1). As you now master useful reading, you are fully ready for this next step. * We shall not address here technologically-based supports (besides simple searches), which are in themselves an entire topic and most of the time, anyway, demand some amount of reading to be properly implemented. Furthermore analysts want, like and need to keep a mastery of their subject matter, thus knowing how to read remains a crucial skill. **The skills transmitted in this article were first taught to me by my lecturers at university and then resulted from more than twenty years of practice in research as well as analysis.